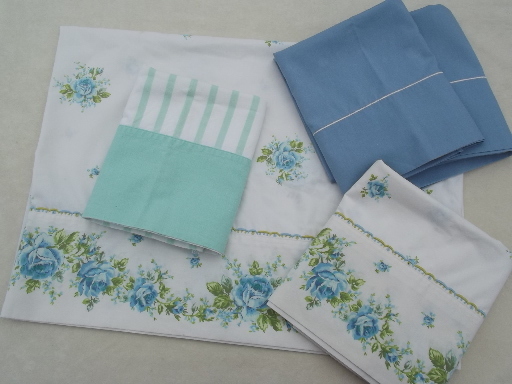 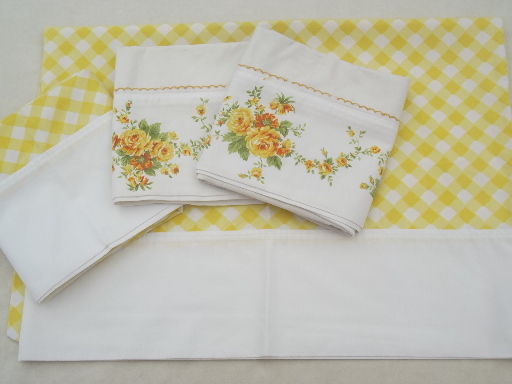 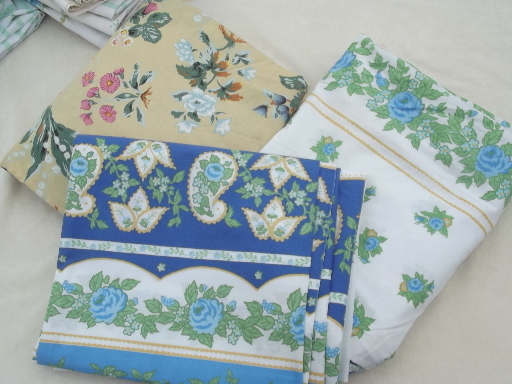 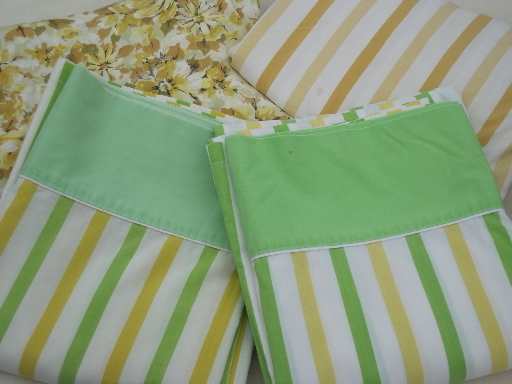 Large lot of vintage bed linens, 70s and early 80s, most easy care cotton blends. 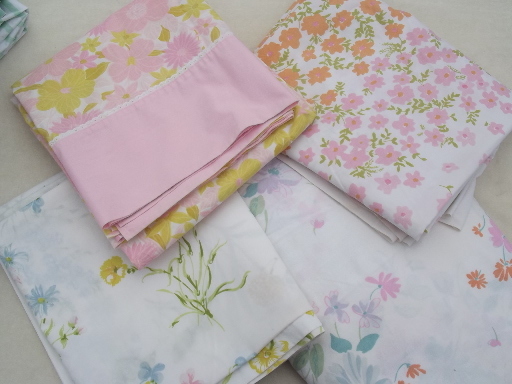 All have been used, though most are flat sheets which don&apos;t have much fading, thinning or pilling. 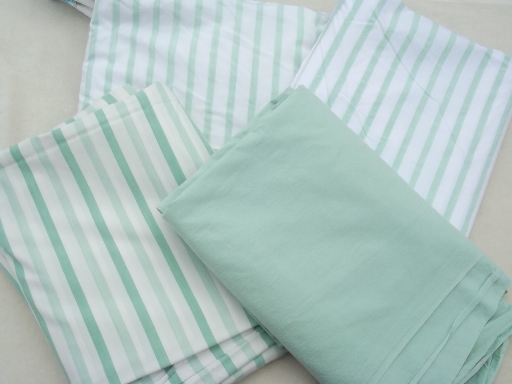 These aren&apos;t like new fabric and are showing use, but we&apos;ve been getting many requests for these retro print bed linens so we&apos;ve collected a big box of them for you here!